A. The Hidrostal Screw Centrifugal Pump. tungsten carbide against solid silicon carbide, immersed in an oil bath enable the ScrewSucker™ to run dry. B. The Electronic Priming System. This advanced vacuum system has many advantages over conventional vacuum systems. 1. It has no moving parts or floats in the priming chamber. 2. The vacuum pump is only engaged when required, thus saving power and reducing wear. 4. Remains effective even when ScrewSucker™ is pumping the thickest liquids. 5. Gives a constant vacuum when used on Well Pointing duties. 6. 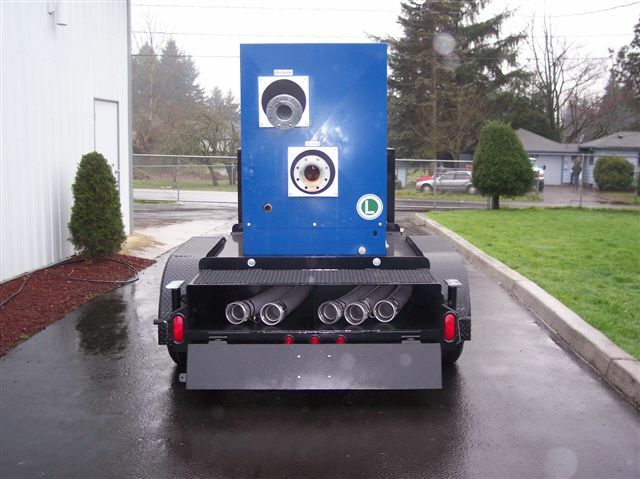 Has a large air handling capacity standard 60 cfm. 7. Primes up to 28 feet. C. The Noise Reduction Canopy. 1. High efficiency pump. 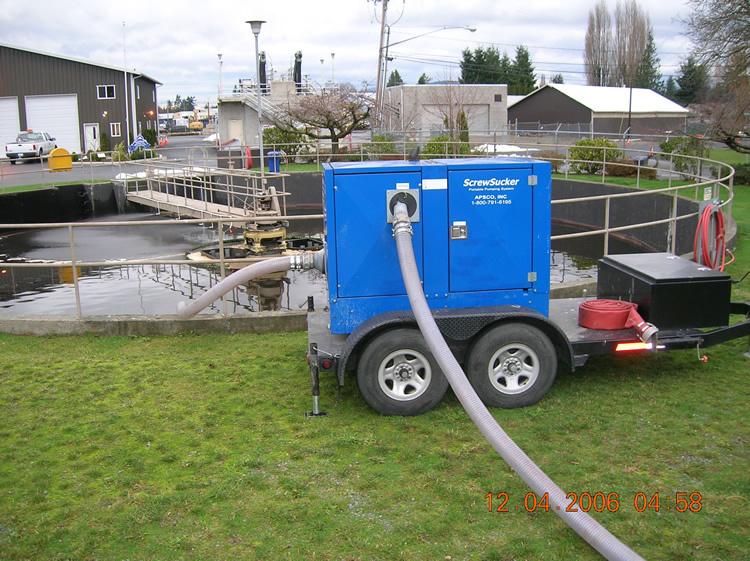 The ScrewSucker™ 100 has a 49 gallon fuel tank capacity which enables the pump to run nearly 200 hours without the need to refuel. 2. Sturdy design with a lifting lug and fork lift channels. 3. Easy access through the three lockable doors. 4. Sabotage and vandal resistant construction. 5. Environmental friendly design, double containment. 6. Operator friendly with many safety features. 1. Automatic start – stop level control. 2. Remote start- stop control capabilities. 4. Low oil pressure protection. 1. GSM breakdown and high water alarm system with SMS message service. 2. Remote starting and stopping via SMS messaging. 3. Fuel level indication with SMS messaging. Please see accompanying brochures of the units we currently have in stock for immediate rental.